Bhutan is the abode of gods and the home to the immortals in the Himalayas. Apart from the majesty and grandeur of the natural surroundings, it has a special environment where communion with the divine is possible through contemplation and meditation. And so since time immemorial, ascetics, scholars, philosophers and pilgrim have been drawn irresistibly to these remote and rugged mountains in their personal search for wisdom, inspiration, solitude and happiness. Over the centuries the place has been blessed by these people with an invaluable spiritual legacy that makes the place conducive for the meditations. Yoga-meditation is at the heart of the Buddhist way of life. It is basically a method for understanding and working on our own mind. We first learn to identify our different negative mental states known as ‘delusions’, and learn how to develop peaceful and positive mental states or ‘virtuous minds’. Then in meditation we overcome our delusions by becoming familiar with virtuous minds. Out of meditation we try to maintain the virtuous minds we have developed and use our wisdom to solve the problems of daily life. As our mind becomes more positive our actions become more constructive, and our experience of life becomes more satisfying and beneficial to others. Anyone can learn basic meditation techniques and experience great benefits, but to progress beyond basic meditation requires faith in the Three Jewels – Buddha, Dharma and Sangha. 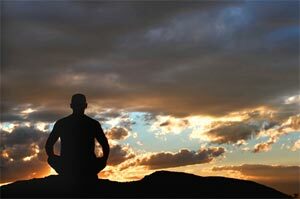 Usually people find this develops naturally as they experience the benefits of their meditation practice. Want to wake-up refreshed and see the morning sun casting its rays on snow-capped mountains? Do you want to walk on ancient trails where Tibetan Yogis and Lamas had taken, where ancient temples beckon you to enter? Take this opportunity to combine your yoga practice with experiencing the unique culture of Bhutan, land of the thunder Dragon. Bhutan is a nation that cherishes Happiness instead of economic advancement. Time stops in this land of Shangri-la. Be prepared for a powerful transformation from within. Transformation occurs only when we accept ourselves exactly as we are now, without waiting to be transformed into something better in the future. Inspired by the natural beauty and spiritual heritage of Bhutan, we will explore how training the mind to be present is not a chore or something that requires superhuman discipline: it is simply to appreciate what is right in front of us. Yoga can serve as a tool to stabilize meditation practice, which helps us to develop this capacity to be fully present. During these retreats, we will explore how the asana practice of Ashtanga yoga can serve as a tool to develop and stabilize meditation practice. Using the foundation techniques of shamatha sitting meditation, we will apply them to the asana practice of Ashtanga. In this way we will develop awareness in both the traditional seated meditation posture, in yoga postures as well as during movement. This approach provides the link to expand your practice and root it in your daily life so that eventually there becomes no distinction between “practice” and “post-practice.” Eventually every moment becomes an opportunity to return to lightness and stability in the body and to the spacious clear quality of mind. Practice Yoga in Bhutan! Below you can find a list of Yoga Holidays itinerary, Instructors and Schools, and popular Retreat and Yoga Centers in Bhutan.